Bootstrap Business: Are Employee Background Checks Worth The Cost? You are trying to run a business, so you might be wondering if paying for an employee background check is worth the money. If you are a sole proprietor or only have one or two employees, the cost may be minimal and manageable. However, if you have 100+ employees, we are talking real money just to do a simple background check for the job candidates you’re considering. Is it really worth the cost? ● Criminal background—Does the candidate have any criminal record? ● Confirm employment—Does the candidate’s resume match his or her actual employment history? ● Confirm identity—Is the candidate really who they say they are? ● Confirm education—Did the candidate graduate from their stated university? ● Check for illegal drug use—Can the candidate pass a drug test? According to New York City private investigator Darrin Giglio of North American PI, the cost of employee theft or fraud can easily run into the thousands of dollars, so making the investment upfront is always a good idea. “Just remember that a rouge employee can potentially bring some legal liability with them,” Giglio said. 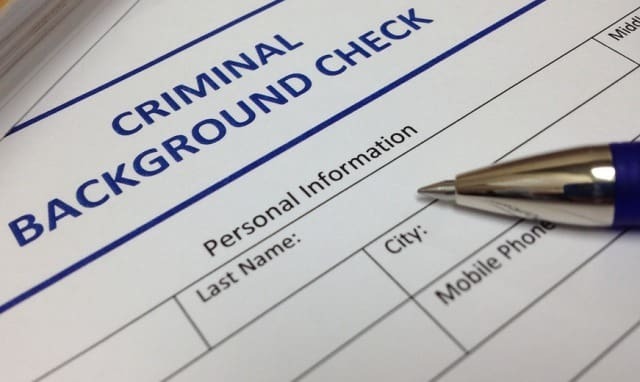 A June 2017 survey by HR.com and the National Association of Professional Background Screeners (NAPBS) found that the majority of human resource professionals are utilizing background checks in their hiring process, mostly citing “public safety” as their number one reason for doing so. Investing in a background check beforehand is always a smart move when it comes to protecting your company and your other employees. So how much does an employee background check actually cost? It all depends on the level of depth that you are seeking to investigate. A simple Social Security number trace can cost as little as $2-4. If you are interested in a nationwide criminal record check, that can cost you up to $75 per person. These numbers may be intimidating, but the cost of doing a background check is nothing compared with the assurance a manager will feel knowing he or she has hired a responsible, trustworthy employee. Keep in mind that each request may also have additional fees as well, so your total cost can run you between $100 and $200 a person if you want to be thorough. If you are wanting to go beyond simple demographic information and basic criminal records, it may cost a little more, but you can also discover any bankruptcies, foreclosures, or eviction records that the potential candidate has in his or her past or present. Some companies are now using credit checks (often called a “soft inquiry” or “soft pull” according to the credit reporting agencies) as a basis for evaluating a candidate, so it’s good information to have. These types of inquiries are now regularly used as part of a background check, but they do not affect a candidate’s actual credit report. They can, however, tell you how responsible the candidate is with their money, whether they have run into problems with mortgage payments, eviction notices, and so on. This is information that you must also consider when evaluating a potential employee for hire. One company that uses complete background checks is Landlord Station, a cloud-based property management software company based in Dallas, Texas. Although it is investigating potential tenants instead of potential job candidates, the result is the same: investing in a background check saves the company money in the end. If you decide to forego the background check on a potential employee, be aware that occasionally what you think is a good hire can turn into a costly one. Trusting your gut is always a part of the equation in the hiring process, but don’t forget that hard data–such as that pulled from a legitimate background check–can prevent a costly mistake. The U.S. Department of Labor estimates the average cost of a bad hire can equal up to 30% of the person’s first year potential earnings. A survey conducted by CareerBuilder in 2017 discovered that 75% of employers in the United States said they have hired the wrong person, and that one bad hire cost them nearly $17,000 on average! Paying $100-200 a person upfront seems like a sound investment when compared to these statistics, even for a small business. I hope you enjoyed this article about whether employee background checks are worth the cost to employers. Interested in more articles about recruiting and human resources?